Alex looking up to his big sisters. Sarah wanting to do everything her big sisters do. (They're dancing to an old bible school CD. 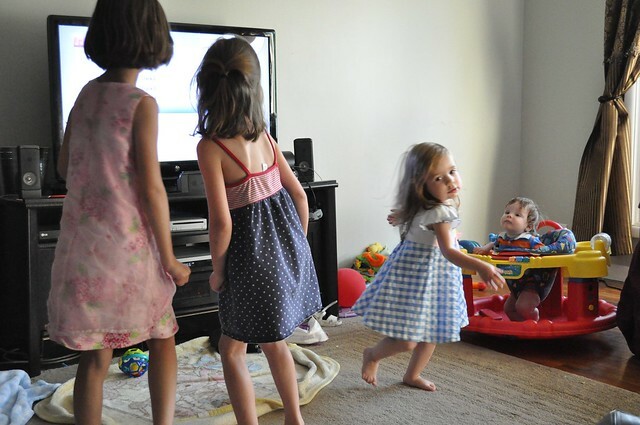 Not sure why they were watching the TV ... the only thing on it was the names of the songs, LOL). Cute! 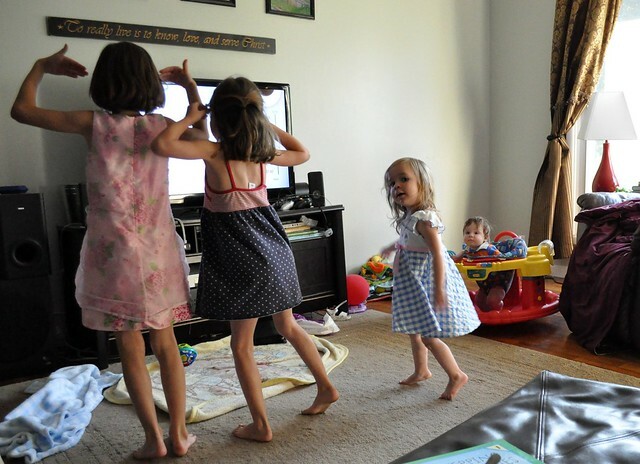 I love it when they have a dance party!